The one thats coming on the weekend is a 'The Barn' regulator. I got no idea whats what in the co2 world just yet, but im ready to start learning. The kit will be complete so ready to go. Looks Barn door style... Should be fine I reckon. From what I could find online, the Quell will likely need an adaptor. Would like to change to an inline reactor eventually. Nice work! Don't increase rate unless you are going to be home observing for at least 10 hours after the change. Going to be super careful, definitely do not want to lose any stock. Ive lost 3 of my 5 Otocinclus so far pretty sure my angels killed them though. I'm preparing for the big rescape also. Golden vine will protrude from each isand with blyxa, crypts, Needle JF, stem plants and maybe grow out some HC inbetween the dragonstone. Got a good idea for it now, just need to get it all together before pulling this tank apart. Was also considering replacing the tank & stand to something new and that matches furniture more. 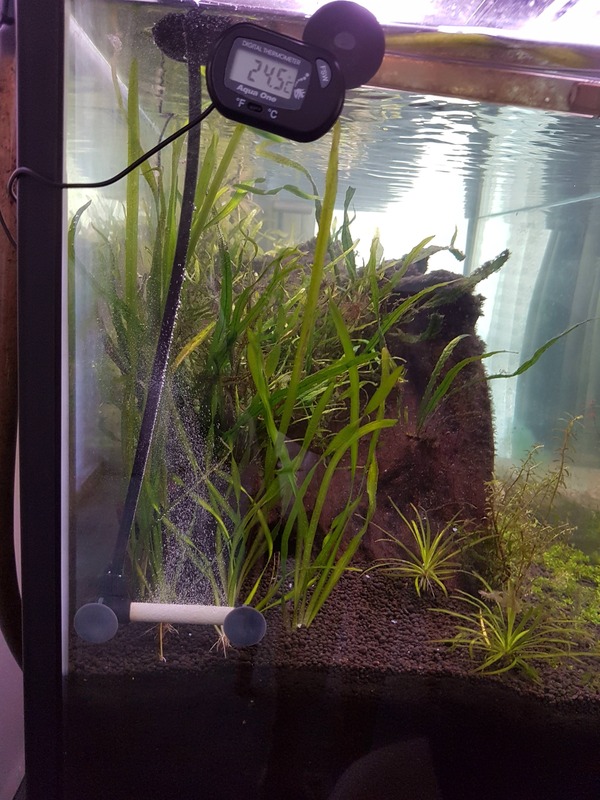 This tank is missing its brace and I dont want to risk it too much longer. Bit of an update, lost 4/5 otocinclus and to date my angels have killed 14 Rummynose. All 11 Panda Corydoras are still alive and kicking and my 4 Bolivian Rams are all still happy amongst each other. BBA is bananas in my tank though im not too worried, the tank is coping a full makeover soon. Will include a decent scrub of the tank. Losing otocinlcus is nothing new. I have lost 4 out of 6 this year. The remaining two are going well tho. Angels can definitely be aggressive. With BBA, when you remake your tank, make sure you peroxide all the hardscape and remove it all. 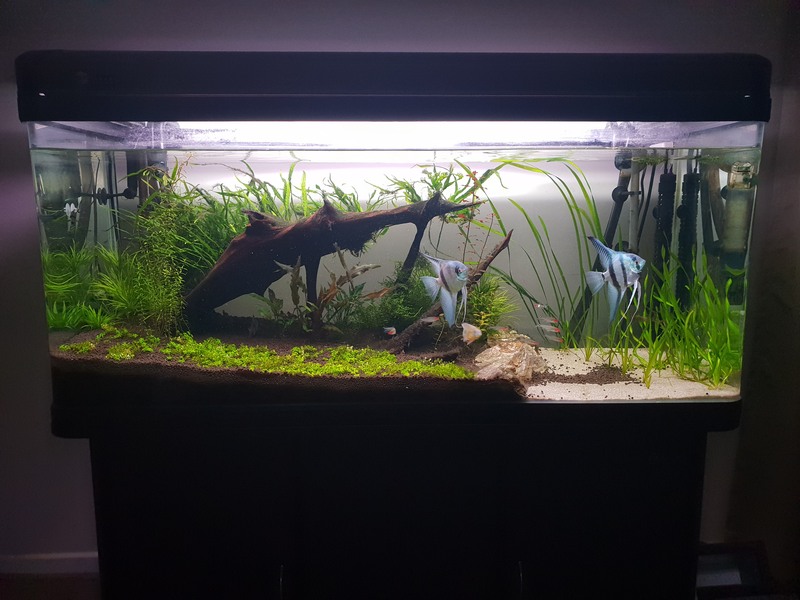 When you restart, start with fairly highish CO2 and high surface agitation. Im actually not sure if the 5th is alive now either, cant find it. These two angels are a lot less aggressive than the two black ones I had previously, though they still love killing my fish from time to time. The only thing that will remain from this current setup is the rocks which need a very good clean already anyway. Thank you for the advice, I will bump up the co2 and set up both canisters to provide good circulation and surface agitation. 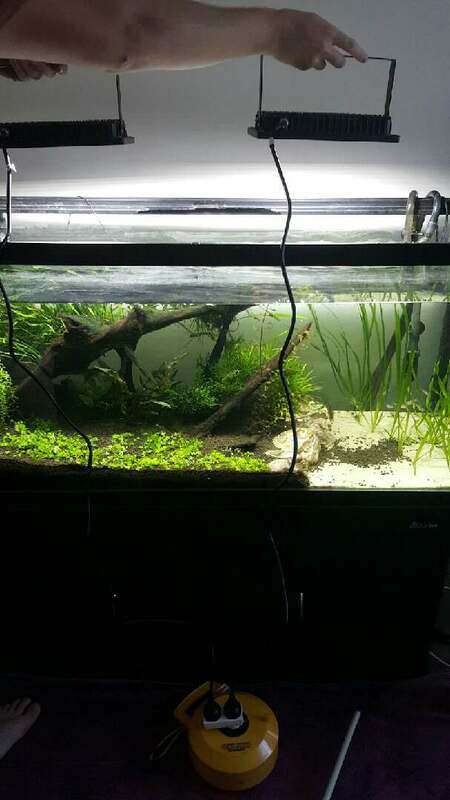 AS part of my rescape plans, I am going to grab another box of the rocks also and make a nice step down rock wall from left to right dirt to sand and have stauro repens grow amongst the rocks and perhaps other small plants. 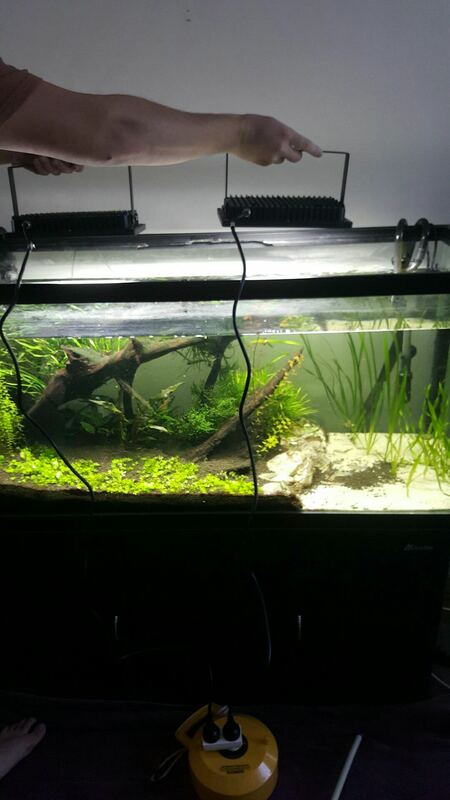 Driftwood hunt is still on for the perfect piece and my light unit keeps breaking down (3x t8 tubes) and only letting me run 2x tubes at a time which im saving for a makemyled replacement with hanging kit. The idea is strong in my head now, I just need the money to buy remaining items. Nice. Enjoy the planning and gathering your materials. I am forever gathering material. My family calls it hoarding. I have a fair amount of rock in a heap, in a corner of my garden. Lower light is generally better I reckon. 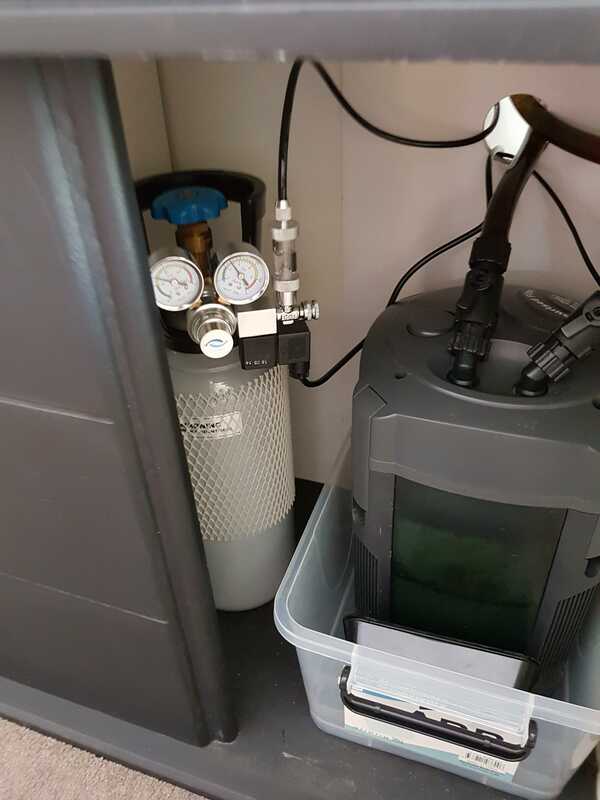 CO2 if possible needs to be 30ppm. Purchased a Sera Flore CO2 Active Reactor 500 yesterday, awaiting delivery! The current bazooka diffuser is definitely wasting co2. Hung or held :P looks like your plants have turned the corner, getting some nice green growth there! Held lol! Yea they are doing alright now hey... just struggling with BBA though.